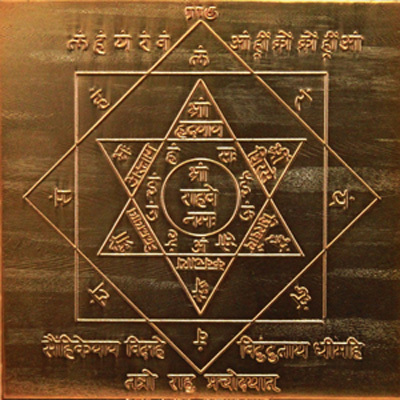 Rahu Yantra can steer you clear of materialism and set you on the path to true riches. Imagine the power of being able to view anything – regardless of time, regardless of space. Imagine being able to achieve your aims for the past, present or future, from anywhere, anytime… using only the Rahu Yantra. Thankfully, you’re in the right place! Because here, we’re going to give you the frank truth: Yantra is a real science and a refined, powerful skill! Security, Prosperity, Happiness, Love, Health and Wealth… the entire world is a matrix, and all of this can be possible by the Rahu (North Node of the Moon) Yantra! How to Use the Rahu Yantra ?